Partly cloudy skies. Low near 65F. Winds light and variable.. Partly cloudy skies. Low near 65F. Winds light and variable. 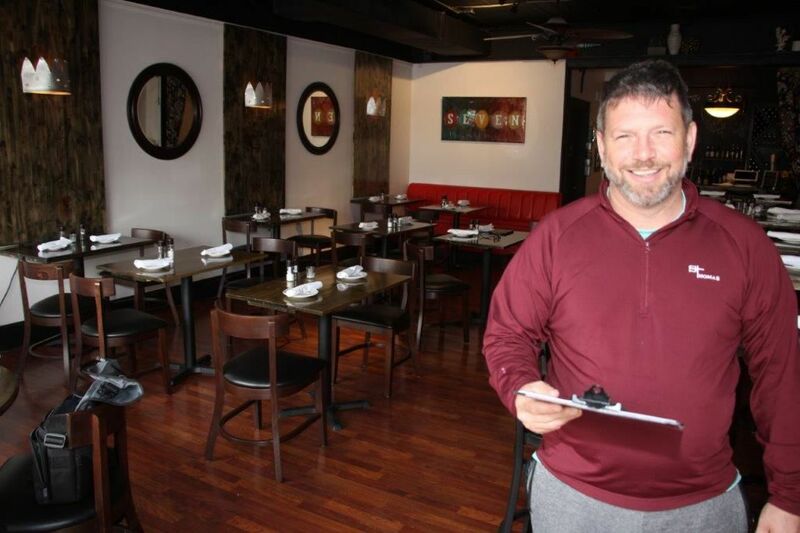 Co-owner Joe Kahn of the Seven on Venice restaurant encourages diners to come and enjoy the American cuisine with a touch of spice. 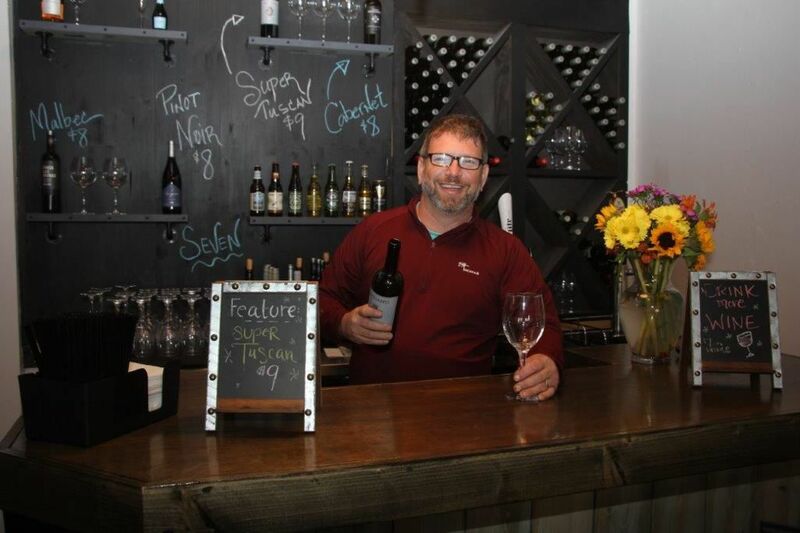 PHOTO BY ROGER BUTTON Relaxing in the eclectic small bar serving wine in the comfy atmosphere of the Seven on Venice restaurant is co-owner Joe Kahn. Seven on Venice at 317B West Venice Avenue is a new downtown restaurant opened by experienced restauranteurs Joe and Michelle Kahn. They are introducing their new American continental cuisine, a successful menu offered to diners in their Illinois restaurants. Their first task has been to make dramatic changes to the location introducing an eclectic, pretty place, upscale but not uptight with a very comfortable atmosphere serving standard food which people enjoy. Their menu includes soups and salads, stuffed chicken, Filet Migon, meatloaf, pastas and more all with a continental twist with the touch of spice. From Chicago, IL where his family were all police officers, he chose to go into the restaurant business. His dad took early retirement and they opened a restaurant on Apple Canyon Lake in early 1980’s. Kahn’s career began washing dishes, then he went through every job. Opening Grant’s Place, at 17 his first restaurant and because of his age his sister signed the liquor license. Meeting his wife, they opened Mangiarie Italian restaurant in Peoria, IL. eventually owning 4 locations. Wanting a change, they created Seven on Prospect in Peoria Heights and a second location nearby which they ran for 15 years. Vacationing a lot on the sun coast they found Venice very relaxing. Down to two restaurants in Illinois and wanting a change they sold and moved to Venice last November. Clearing out the location, they painted it, installed new furniture and refitting the kitchen. Introducing an intimate smaller bar, they serve wines from France, New Zealand, California and Argentina, beers, coffee and soft drinks. For comfort they have built raisers and installed banquette seating with high top tables. There are tables and chairs making total seating for 38 diners. Seven on Venice is open Tuesdays-Saturdays for lunch from 11:30 a.m. to 2:30 p.m. and dinner from 4:30 p.m. to 9 p.m., and Sunday’s noon to 7 p.m. For more information, call 941-488-4900.